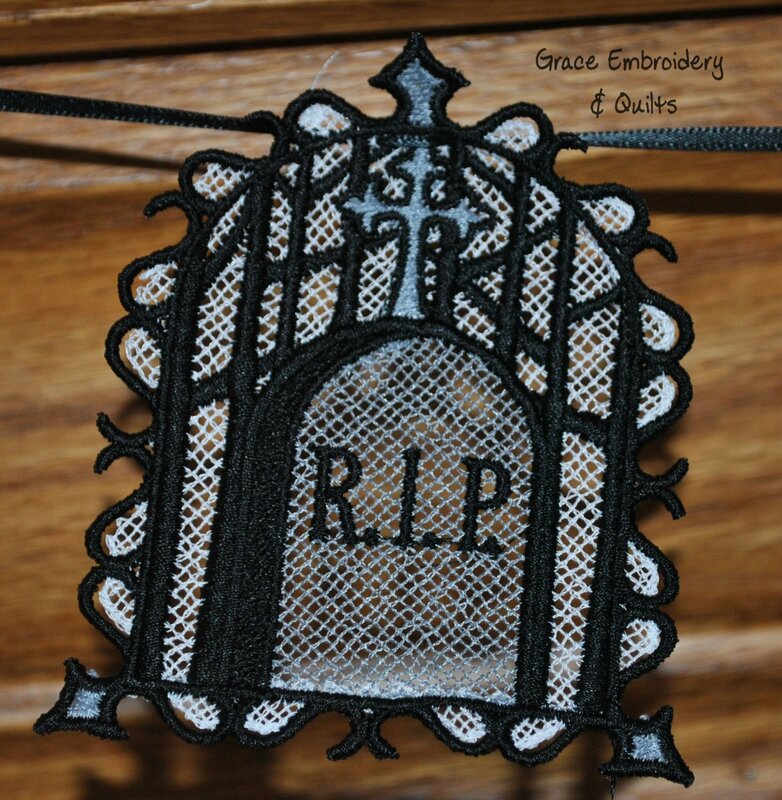 Machine embroidered lace letters on a ribbon, perfect for your mantle or doorway. 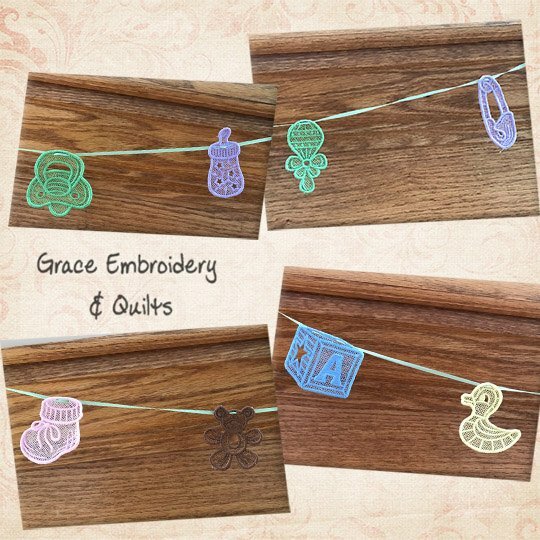 Pick one color or the rainbow option (as shown in picture) and choose 2.25″, 4″ or 5″ letters. Ribbon color will depend on letter color chosen. Total Length is approximately 6′ 8″.